Here is a fun caricature by caricature artist Shane. 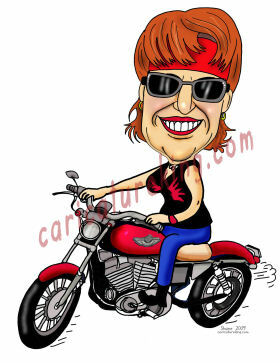 Caricatures of people on motorbikes are not that common, but when they are ordered they are a lot of fun. Maybe you know of a friend who would like to be drawn on or with their motorbike?